Mary Kay® has created the most gorgeous spring line, and our designers at QT Office have created a stunning free printable flyer to help you showcase your new products. Did you know Valentine’s Day is an $18.9 billion holiday. The National Retail Federation says nine out of ten Americans plan to buy their significant other something, and each plans to spend an average of $88. Of that $18.9 billion, $1.5 billion will be spent on gift cards. Make sure you are letting you customers know this is one of the services you offer, along with your gift basket service, complimentary deliveries and gift wrapping. 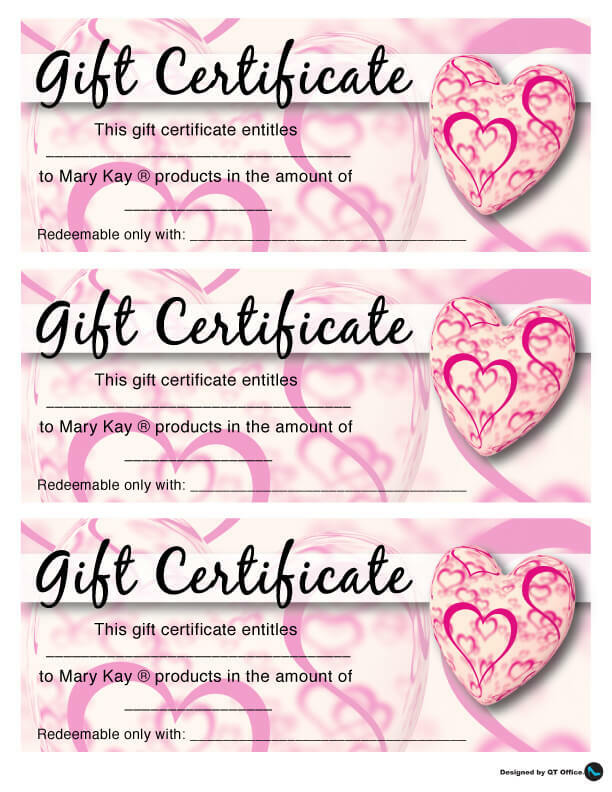 It is also important to remind them of Mary Kay’s® satisfaction guarantee so they know that whether they purchase a gift basket or a gift certificate from you their special person will love the gift they receive. I have often heard it said that “a tracked number grows” I tried to find out where this quote originated with no luck, what I did find was a ton of articles for success people in all walks of life that truly feel it helps them achieve their goals. 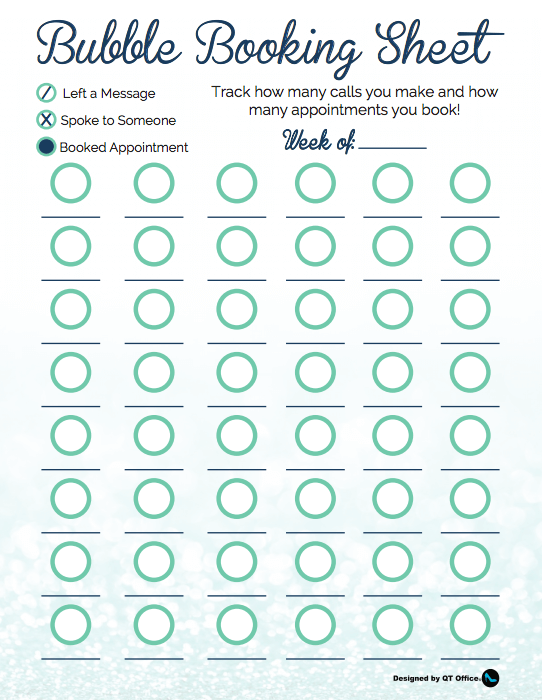 Many Mary Kay® consultants track their booking attempts using a booking booking bubble sheet, our designers at QT Office designers a super cute one for you to use. The QT Office Team is at Leadership 2017! 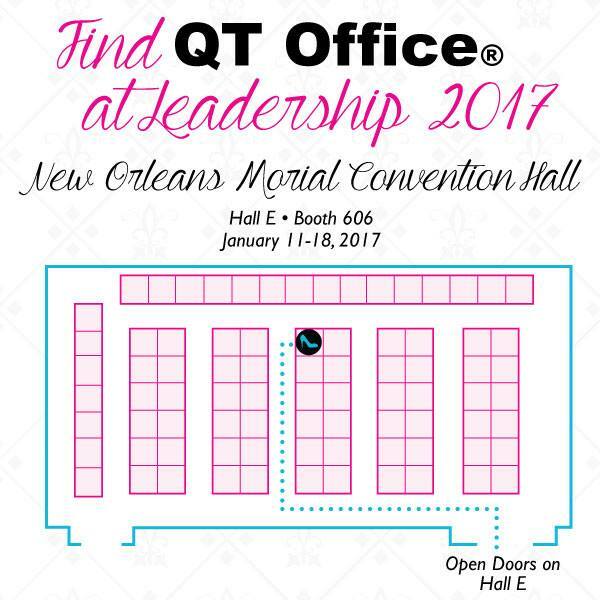 The QT Office team is in New Orleans for Leadership 2017 and to celebrate we will be giving away a lot of our freebies on our blog. If you are in New Orleans and you LOVE our freebies stop by our booth and let our talented designers know. As always we are having our biggest sale of the year! Half price setup on Digital Business Cards and $1 setup for a new Unit or Area Website or App, or $2 for setup of a Website/App combo. For many January is a month of reflection and change. It’s a time most of us take a mental inventory of our life, what we love and what we want to change. 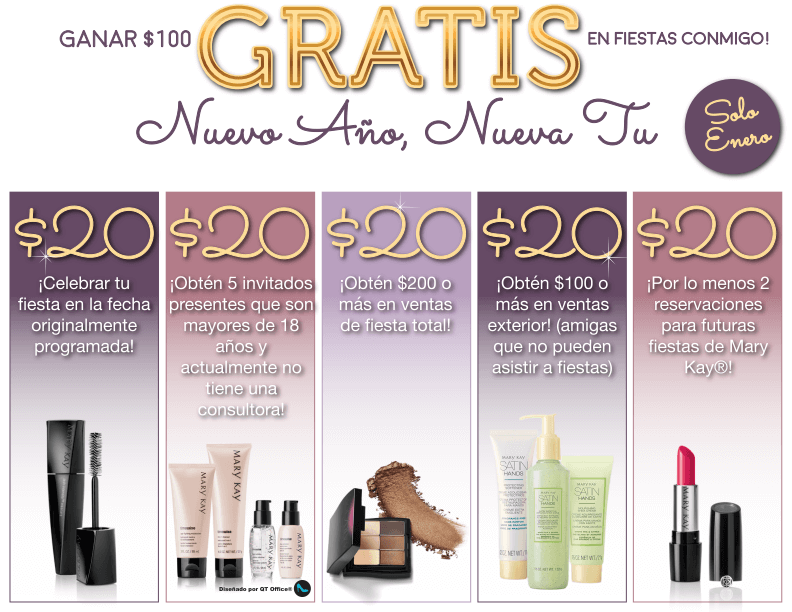 This make January a great month for offering your powerhouse skincare, glamour and the career opportunity. You have something to offer to everyone. 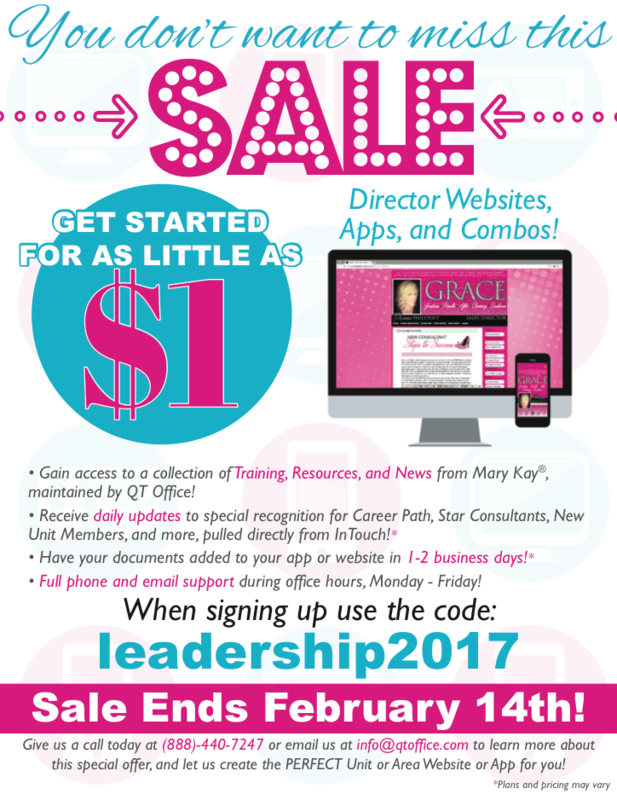 Our designers at QT Office have created a sharp New Year, New You hostess plan to offer your potential hostess $100 FREE to host a Mary Kay party in January! We will feature this in our Seasonal Selling section of our websites! To make sure you leave your booking with plenty of new leads you may want to play the fabulous game. It’s also a huge eye opener for those who feel “they don’t know anybody”. It shows them they could host their own party or even start their own business!